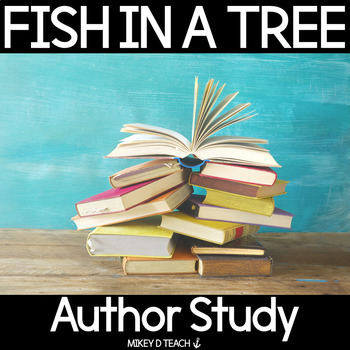 Fish in a Tree is a GREAT novel with tons of content that lends itself to your classroom! The author who wrote this book, Lynda Mullaly Hunt, is a very inspirational author. We can learn a lot from her life and her reasons that she writes! This resource was designed for my classroom students to have some direction when researching Lynda Mullaly Hunt during our Fish in a Tree unit. Are you looking for even more resources for Fish in A Tree? Check out my Fish in a Tree Bundle!!!! CLICK THE GREEN PREVIEW BUTTON TO TAKE A CLOSER, FULL LOOK AT THIS RESOURCE!